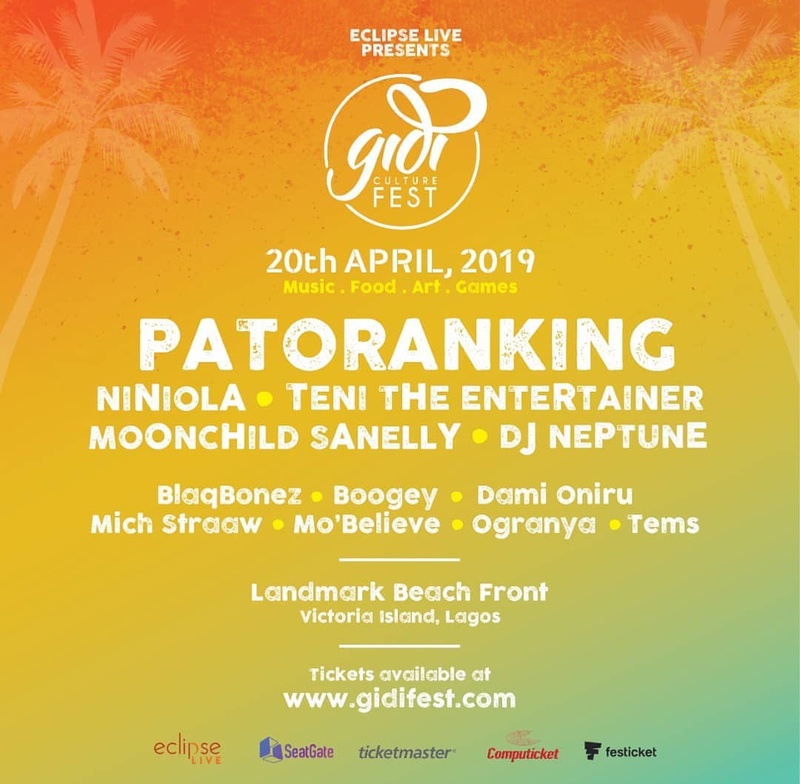 Gidi Fest Enlists Niniola, Patoranking & Teni as 2019 Headliners. 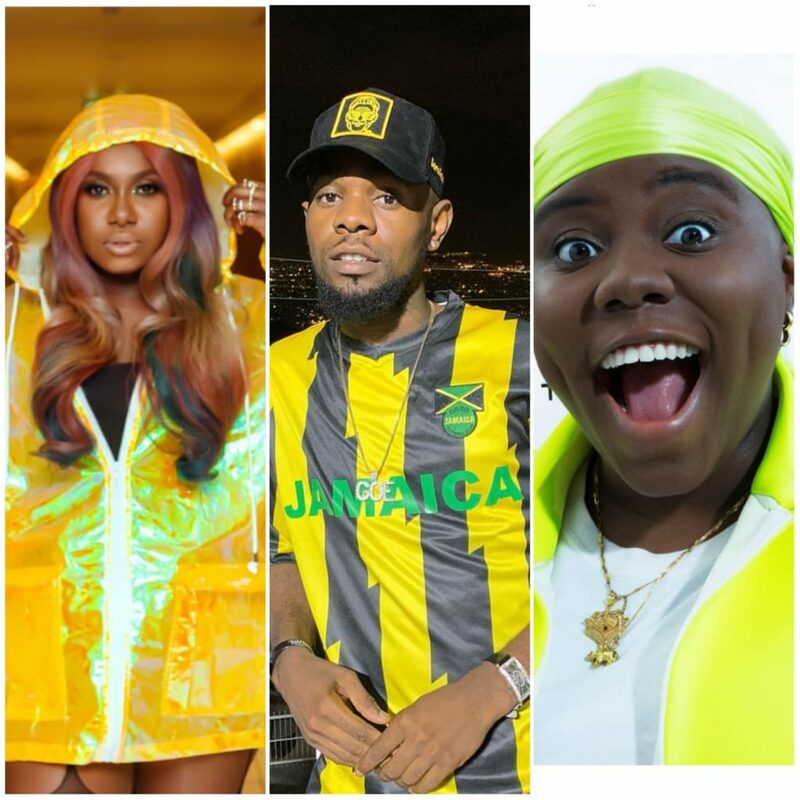 Gidi Fest Names Niniola, Patoranking & Teni as 2019 Headliners. Eclipse Live Africa, the organizers of Gidi Fest have just announced it’s 2019 headliners for the annual music and art festival. Gidi Fest is famed for pooling the best of talents in the music space to deliver a stellar outdoor experience to attendees. With it’s list of lineups ranging from talents in Nigeria, Ghana, South Africa, UK, US etc, the festival has become one to look forward to since it’s maiden edition in 2014. 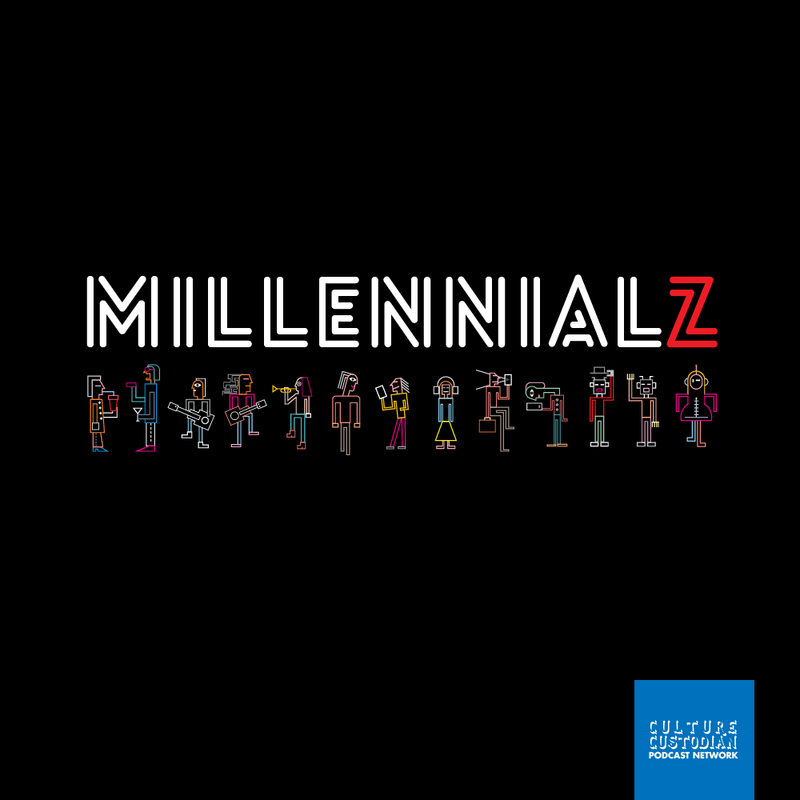 The organisers through their social media pages, unveiled the long anticipated list of it’s 2019 headliners and what’s even more interesting is that it’s a celebration of both the new and incoming generation of talents in the music industry. Patoranking, Niniola and Teni the Entertainer are the first set of headliners, to be ushered in by a host of next rated Artistes viz BlaqBonez, Boogey, Dami Oniru, Mich Straw, Mo’ Believe, Ogranya, Tems etc. South Africa’s Moon child Sanelly is also announced as the guest artiste to treat attendees to what’s tipped to be the best Gidi Fest yet. The festival is slated to hold on April 20th 2019 with more headline acts likely to be announced before then.